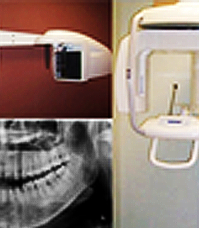 At Elite Smile Dental Clinic, we are pleased to offer Kodak digital x-ray. This will give you a low level of radiation exposure by as much as 85% compared to traditional x-ray. The digital x-ray also gives better image and accuracy, making it easier for diagnosis. Endodontic apex locator used in Root Canal Treatment to measure the length of the root canal via the position of the apical foramen, providing extremely accurate measurement in all condition. The quickest, easiest way to effectively whiten your teeth is in-office treatment with Philips Zoom White Speed. Zoom White Speed is the only in-office system that has variable intensity setting so each treatment can be customized to maximize patient comfort. The system also includes desensitizers to help minimize sensitivity and protect your enamel. This dentist-supervised, in-office procedure is safe, effective and clinically proven to whiten up to eight shades—for a brighter, whiter smile in just one office visit. The WaveOne™ is a new endodontic system that uses reciprocating technology. This means that it will only shape the canal when pressure is applied, giving you that feeling of complete control.